indicating that the session will come out with recommendations to adopt acceptable international standards in this regard. “Iraq occupied the sixth largest in the world in the highest risk in the fight against money laundering as the highest risk countries. on Create FATF region Middle East and North Africa in order to combat money laundering and the financing of terrorism (MENAFATF) works along the lines of FATF (FATF), was agreed to be the host country is the Kingdom of Bahrain. Baghdad invited the United Nations, on Tuesday, the confiscation of all the oil tankers traveling from or to areas under the control of terrorist Daash gangs in Iraq and Syria, the areas with the aim of drying finance organization sources from the sale of oil. and demanded that the United Nations report showed him it “tomorrow Press”, prepared team responsible for the application of sanctions against terrorist organizations, to “prevent flights from or to the controlled Daash areas in order to prevent it from obtaining goods or weapons. ” did not come, the report mentions the routes of these tanks in smuggled oil, but Little Turkey as a major transit route for exports Daash of crude oil before returning the tanks back to Iraq and Syria, loaded this time oil derivatives duplicate. UN team proposes that “the Security Council asked all member states of the UN border with controlled jihadists areas that are quickly confiscated all tankers and cargoes coming from these areas, or bound to it. Baghdad (AIN) –The Minister of Defense, Khalid al-Obaidi, stated that Nassiriya Airport is ready to receive the civil aircrafts. explaining that the Department of pension and Social Security has completed all the procedures related to the distribution salaries in coordination with banking offices in Baghdad and the provinces. three beneficiaries, will receive 300 000 dinars for two months. the amount of 260 000 dinars for two months, stressing continuation of the ministry procedures provide retirees who secured the more than the 300 000 in Baghdad and the provinces, the smart card. Baghdad and Erbil agreement paves Is oil a long spring, or …? Fatah reached and the Federal Ministry of Oil to an agreement with the Kurdistan Regional Government recently on oil revenues, the door of optimism tangible improvement in the relationship between Baghdad and Erbil, weather and health to resolve the outstanding issues between the two sides. 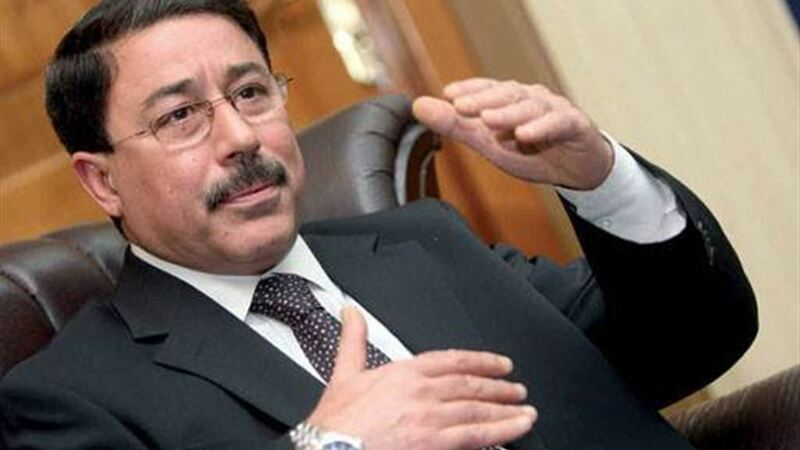 He and oil minister, Adel Abdul Mahdi, the Sabbath, that the oil agreement between the central government and the regional government will raise Iraqi oil production, pointing out that the provincial non-oil producers will get a portion of oil imports to the producing provinces. And that it would achieve justice among all. The Oil Ministry announced Friday an agreement between the governments in Baghdad and Erbil, whereby the federal government transferred $ 500 million to the Government of the Region in the recent development of 150 thousand barrels of crude oil per day at the disposal of the Federal Government. In this regard, see the former oil minister Ibrahim Bahr al-Ulum said the current political, economic and security environment contributed to reaching an agreement that paves a new phase in the relationship between the two sides. He cautioned Bahr al-Ulum, in an interview with Radio Free Iraq that the success of the agreement is based on the commitment of the parties to apply its provisions, given the need for joint coincided with a significant drop in oil prices in the international market, which adds another element to the feasibility of the agreement. 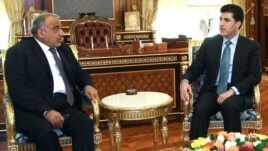 He pointed to the Kurdish parliament member Abdul Salam Berwari in touch with Radio Free Iraq that the common perception of federalism and the powers of the province and the federal government, would resolve the differences between the center and the region and to reach a broader agreements. Kurdish media advisor to the Kurdistan Parliament Tariq essence sees the agreement as a goodwill gesture from Baghdad about the region, believing it to be a preliminary step to resolve other pending issues, and points out in an interview with Radio Free Iraq that the amount of $ 500 million to be paid by the federal government to the province will not cover only half the needed the province to pay its employees’ salaries. Despite hailing the recent agreement between Baghdad and Erbil, but the head of the Iraqi Group for Strategic Studies confident Hashemi does not show significant optimistic based on the demands of the region that the roof is often increased in previous agreements, and often cause things back in the first box says. He pointed to the influence of al-Hashemi pressing external factors that pushed the region to coordinate work with Baghdad, referring in his interview with Radio Free Iraq to the position of the United States and other countries about the legitimacy of the region to export oil without the approval of Baghdad. In the meantime, the United Nations welcomed the agreement reached by the Iraqi government and the Kurdistan region of Iraq, saying that the first Manmh.oukal step Representative of the Secretary General of the International Organization in Iraq, Nikolay Mladenov said in a statement Friday that this agreement is an important first step towards the creation of a comprehensive and just solution and for all the outstanding constitutional issues, Mhiraely it will now allow employees to receive their salaries in the region, while pointing out that this agreement will make the Kurdistan resume its contribution to the federal budget. The head of the Kurdistan Regional Government Nechirvan Barzani said in a press conference in Erbil on atheist th of this month on the best solutions for the region lies in reaching an agreement with the Iraqi government in the oil sector and issues related to export, in order to end the relationship between the two problems, revealing for that Erbil hopes to be exporting 450 000 barrels of oil per day from wells region by the end of this year, and is aiming to increase to 800 thousand barrels per day, the end of next year. So called economic expert Majid picture to re-oil contracts signed by the federal government with the oil companies as well as the audit participation and service contracts signed by the Kurdistan Regional Government away from Baghdad to assess. You will always see the spring, the recent agreement between Baghdad and Erbil, Iraqi or shorts such as spring weather? So he asked the President of the Iraqi Group for Strategic Studies confident Hashemi pointing out that the participation of the Kurds in the political, economic and security the Iraqi decision directly and responsibly, means participation in the full responsibility, especially at the level of the financial crisis facing Iraq today. Participated in the audio file Radio Free Iraq correspondent in Baghdad, Hazim al-Shara and innocent chaste. Visiting head of Iraq’s Kurdistan Regional Government Barzani Baghdad tomorrow, to complete province and talks about the relationship between the center and a private oil export crisis problems. And Oil Minister Adel Abdul-Mahdi, had confirmed that the application and respect of Baghdad and Erbil agreement on the budget and re-exports of oil will ensure that exports nearly a million barrels of oil per day to the Treasury, calling for the adoption of the profit Almottagabl policy to compensate for the loss of tens of billions of dollars. Said the parliamentary Finance Committee member Massoud Haider, Tuesday, on the importance of activating the private sector to increase government tax revenues, pointing to the importance of benefiting from the developed countries to do so.